Pat Tillman was seen by many as an American hero. A star college football player turned pro, he walked away from a multimillion-dollar NFL contract after the 9/11 attacks, choosing to enlist in the U.S. Army. He graduated from their elite Ranger school and was deployed to Iraq in 2003. On April 22, 2004, Pat Tillman was killed in Afghanistan. The administration and the Pentagon immediately portrayed his death as the result of a dramatic gun battle with the enemy, and Pat was posthumously awarded the Silver Star and a promotion in recognition of his bravery. But as would later emerge, Army officials were all along hiding the truth: Pat was killed by his fellow Rangers. The Tillmans discovered this fact five weeks after Pat's death, and six separate investigations have since been launched, largely due to the family's passionate insistence. But even now, the true circumstances remain murky and fraught with contradictions. Here is Mary Tillman's story, as she describes her attempts to uncover the truth about what happened to Pat and why the government went to such great lengths to keep the circumstances secret. In the process, she paints an indelible portrait of her son, a man of remarkable character who followed a set of guiding principles that ultimately led him to Afghanistan and, in death, into the hearts and minds of people all over the world. 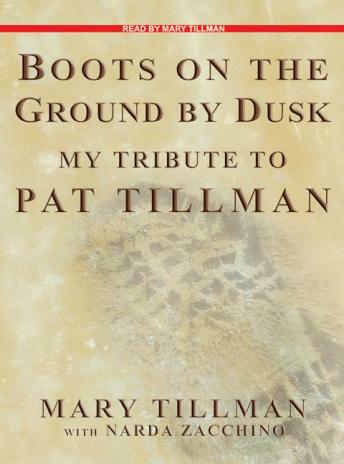 Written to coincide with the release of the feature film The Tillman Story, Mary Tillman's explosive new foreword describes her family's ongoing appeals to President Obama, the Pentagon, and members of Congress to get to the bottom of what happened and hold accountable the senior military officials responsible for the cover-up of Pat's death.